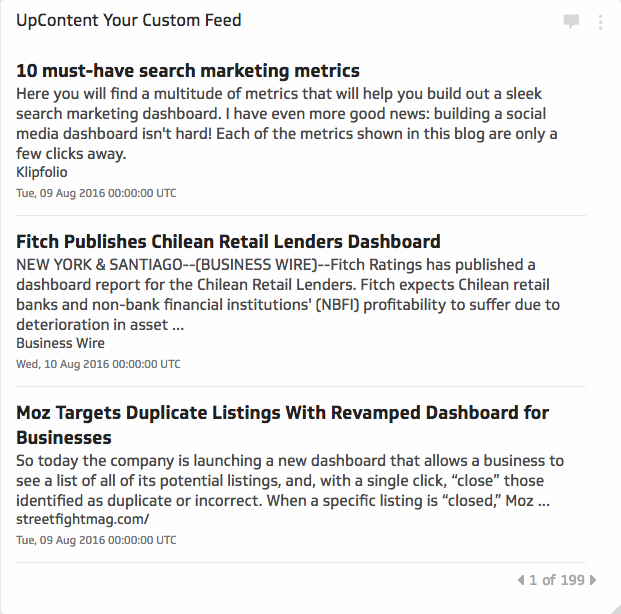 UpContent is a content discovery tool that gives you the power to spark conversations and gain insight on the topics you care about most. Your custom news feeds' RSS link. Sign in to your UpContent account or create a new account (they have a free version). If you don't already have have topics in UpContent, create a new topic. On the left navigation menu, hover over a topic and click on the link icon. Paste the link into Klipfolio where it says Your RSS Feed URL.